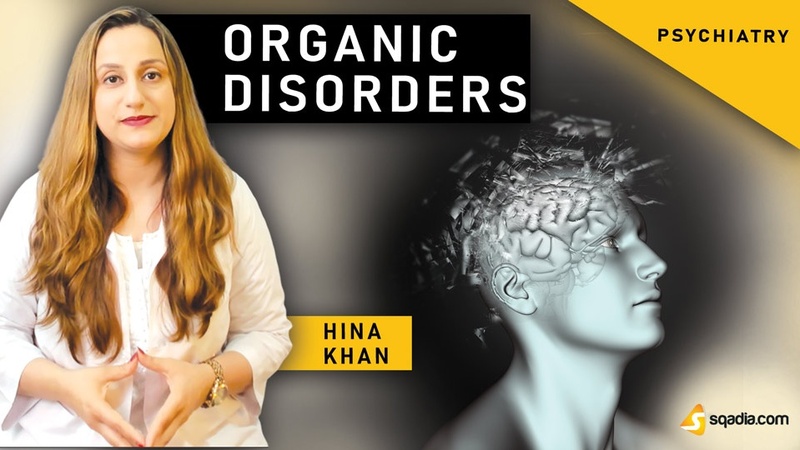 An in-depth knowledge of organic disorders is given in this sqadia.com medical video lecture. 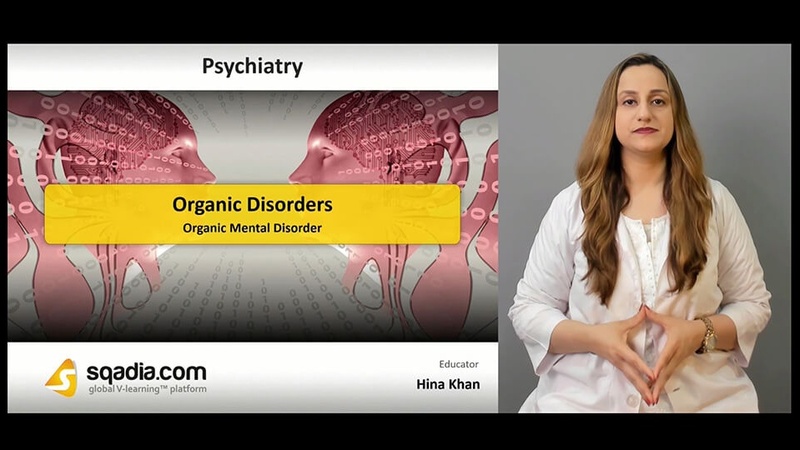 This lecture covers the definition, psychiatric presentation, and classification of organic mental disorders. Along with this, information about delirium, diagnosis of delirium, confusion assessment method, and delirium management is delivered. 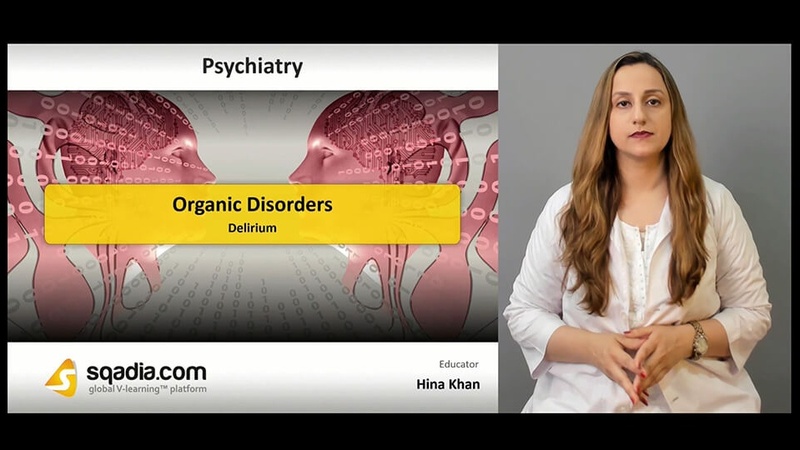 Dr. Hina Khan also explains what is delirium tremens. Disorders that have an underlying physical or pathological cause are known as organic disorders. Organic conditions and their psychiatric presentation is also discussed such as stroke, cerebral tumours, epilepsy, and head injury. 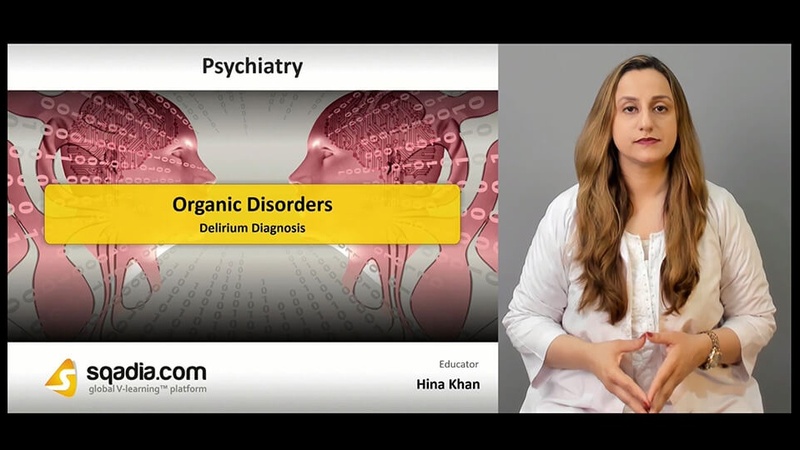 Classification of organic mental disorders is illuminated lastly in this section which include delirium, dementia, personality disorders, amnestic syndrome, and other mental disorders. At first Dr. Hina Khan defines what delirium is. After that she tells that incidence and prevalence of delirium is variable. Rapid onset, global disturbance of cognitive function, and evidence of physical cause are the core features of delirium. Subsequently, premorbid risk factors and causative aetiological factors are pursued along with the clinical presentation. History, previous episodes of delirium, and relevant factors are important to consider while carrying out the diagnosis. For physical investigations, blood test sputum culture and radiological investigations are advised. Other diagnostic tools include confusion assessment method. Comments are also given on differential diagnosis. Non-biological management of delirium treat accompanying symptoms and behaviours. Pharmacological management refers to the use of acute therapy and prophylactic therapies. Following this, delirium tremens is highlighted which is a rapid onset of confusion usually caused by withdrawal from alcohol. In the end, comparative discussion continues on difference between delirium and dementia.